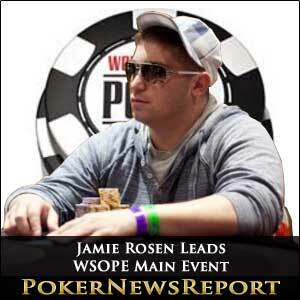 After the dust had settled on two record breaking Day 1s of the 2011 WSOPE Main Event, American Jamie Rosen emerged at the head of the leaderboard. 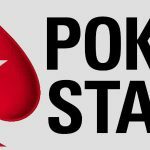 The professional poker player from Florida bagged up 162,700 chips on Saturday night – almost 40,000 chips more than his nearest Day 1A competitor, Dermot Blain – and best part of 20,000 chips clear of Day 1B table-toppers, Lari Sihvo and Tommy Vedes. As was widely expected, the Main Event at the World Series of Poker Europe broke a stack of records. The buy-in of €10,400 did not deter 593 players from entering the tournament (the previous record was 362) and creating a prize pool of €5,692,800 from which the winner will receive €1,400,000 – the most valuable pot ever played for in France. 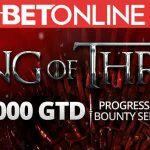 327 players will take their seats for Day 2 – among them last year´s winner James Bord who “only” collected £830,401 (c. €950,000) for his victory in 2010, and the top 64 finishers will be among the money. As well as James Bord, a significant number of UK poker players made it through to the second day of the WSOPE Main Event. Day 1A survivors John Duthie, Barny Boatman, David Vamplew, Liv Boeree and Chris Moorman (who despatched Jason Mercier to the rail) will be joined by those who got their chips in when it mattered on Day 1B – Max Silver, Jakes Akenhead, Dave Ulliot and Jake Cody. A special word also for Australian legend Leo Boxell, who flew to Cannes after busting out of the ANZPT Darwin last week, and who is still going strong in what may be his last international appearance in the Western Hemisphere. 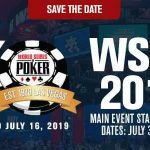 Phil Hellmuth was amongst those to depart from the tournament early – resigning to the fact that Ben Lamb is almost certain to capture the award of WSOP Player of the Year when the WSOP Main Event is concluded in November. Phil has tried hard this week to get points for the title he so desperately desires, but after a seventh place finish in the opening WSOPE event, his luck has deserted him. 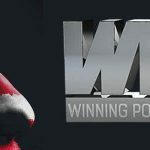 There still might be a twist in the race for the WSOP PoY Title, as Shawn Buchanan has already amassed three cashes in Cannes, to go with the five he won in Las Vegas in the summer. Still alive in the Main Event, Buchanan could still present Ben Lamb with some competition for the title of Player of the Year. Bertrand Grospelier, captain of the European Team in this year´s renewal of the Caesar´s Cup will also be kicking his heels until Wednesday´s TV Event. “ElkY” got all-in with pocket fours against Benny Spindler´s K♣ 10♥ and then witnessed a flop of 10♣ 10♠ 6♣. Incredibly, the 4♠ on the turn gave Grospelier a full house of Fours over Tens, but his joy and tournament life were soon extinguished when 6♦ appeared on the river to give Spindler the better full house of Tens over Sixes.